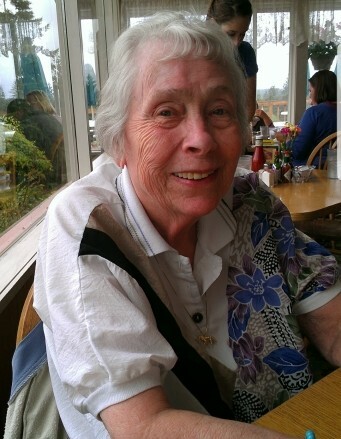 Barbara Winders-Kelsey, 87, of Enumclaw, died on March 12, 2019 in Enumclaw, WA. She was born on December 8, 1931 to Jim and Alpha Forman in Phoenix, Arizona. Barbara retired in 1991 from The Boeing Company as a Quality Control Inspector. She was a member of Lake Sawyer Church in Black Diamond and spent many years on C-BAR-B Stables, the family Tennessee walking horse stable. She leaves her son Cliff Winders and wife RuthAnn Winders, her daughter Bunny Tellvik and husband Jim Tellvik, sister Betty Peters, 9 grandchildren and 14 great grandchildren. She was preceded in death by her husband Clifford Winders and brother Jim Forman. Services will be held at Lake Sawyer Church April 6, 11:00 a.m., 31605 Lake Sawyer Rd SE. Black Diamond WA 98010. Barbara’s family would like anyone wishing to make a donation in her name to be made to Lake Sawyer Church.